Mossimo Giannulli is an American designer. He is best known for founding the clothing company Mossimo. He and his wife, Lori Loughlin were one of the 50 individuals charged by the FBI and US Attorney's Office in March 2019 in a large-scale nationwide college entrance exam cheating scandal. In April 2019, they were one of the 16 individual parents who was charged additionally with conspiracy to commit money laundering. American designer and his wife Lori Loughlin faces additional charges in ongoing nationwide college admission scandal named Operation Varsity Blues. The couple was charged additionally with conspiracy to commit money laundering by Federal prosecutor in Boston in a superseding indictment. The indictment alleged that they conspired to launder bribes paid to William Rick Singer "by funneling them through Singer's purported charity and his for-profit corporation." Gamal Abdelaziz, I-Hsin "Joey" Chen, Douglas M. Hodge, Michelle Janavs, Homayoun Zadeh, Diane, and Todd Blake, Elizabeth and Manuel Henrique, Elisabeth Kimmel, William McGlashan Jr., Marci Palatella, John Wilson, and Robert Zangrillo are other parents facing the similar charges. This third charge has a maximum sentence of 20 years in prison, supervised the release of three years, and a $500,000 fine. Earlier the couple was among fifty individuals charged by the FBI and US Attorney's Ofice in March 2019 in a large-scale nationwide college entrance exam cheating scandal. The indictment alleged the couple that they had paid $500,000 disguised as a donation to the Key Worldwide Foundation, in order that the University of Southern California's admissions committee would be led to believe that their two daughters would be joining the school's women's rowing team if admitted. In reality, neither of their daughters had ever trained in the sport and had no plans to do so. Who is Lori Loughlin, Mossimo Giannulli's Wife? What is Giannulli Famous For? Founder of an American clothing company, Mossimo. He and his wife, Lori Loughlin involved in Operation Varsity Blues nationwide scandal. Mossimo Giannulli was born on 4 June 1963. His birthplace is in California in the United States. He holds American nationality. His zodiac sign is Gemini. Information about his parents and siblings are currently unavailable. He studied architecture and business at the University of Southern California. But he dropped out of college after 3 years. Mossimo Giannulli founded the clothing company, Mossimo in Balboa Island in Newport Beach, California in 1986. He grossed $1 million in his first year in the clothing business. He made $4 million in the following year. He expanded the line to include sweatshirts, knits, and sweaters in 1991. The collection expanded to women's clothing and men's tailored suits by 1995. Mossimo, Inc. had grown into a multimillion-dollar lifestyle sportswear and accessories company. The company went public in 1996 with an initial public offering. The company tried to take a shortcut from streetwear/beachwear to high fashion but failed. Their shares tumbled from $50 to $4. 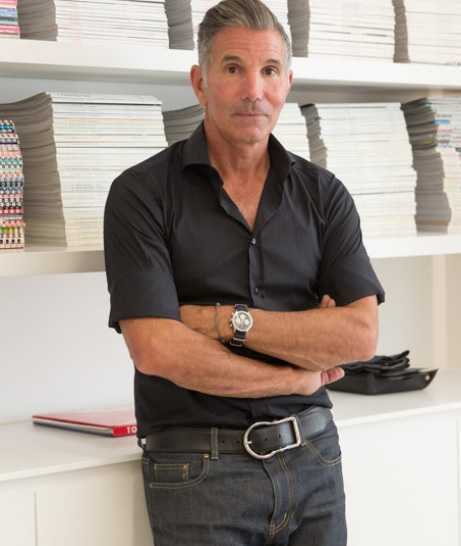 He took the brand downscale, announcing on 28 March 2000, Mossimo, Inc. a major, multi-product licensing agreement with Target stores, for $27.8 million. Iconix Brand Group acquired Mossimo in 2006. Giannulli Mossimo and his wife Lori Loughlin were two of the high profile celebrities dragged into nationwide entrance exam cheating scandal named as Operation Varsity Blues. They surrendered to federal authorities in Los Angeles on 13 March 2019. They allegedly paid $500,000 disguised as a donation to the Key Worldwide Foundation, in order that the University of Southern California's admissions committee would be led to believe that their two daughters would be joining the school's women's rowing team if admitted. In reality, neither of their daughters have ever trained in the sport and had no plans to do so. The couple was released on $1 million bonds each. The couple was permitted to retain their passports and travel outside of the United States as long as they informed the court. Their daughter Olivia, a social media influencer lost her partnership with cosmetic giant Sephora and her sponsorship for her beauty channel and Instagram posts. The scandal led the couple being named as defendants in a private class action lawsuit brought on by Stanford University graduates. They claimed that their education and their degrees have been devalued due to their school's association with the scandal. The couple was later offered a plea deal where they would get 2 years in prison if they accepted it. The couple was charged on 9 April in addition with conspiracy to commit money laundering by Federal prosecutors in Boston in a superseding indictment. The indictment alleged that they conspired to launder bribes paid to William Rick Singer "by funneling them through Singer's purported charity and his for-profit corporation." This third charge has a maximum sentence of 20 years in prison, supervised the release of three years, and a $500,000 fine. Who is Mossimo Giannulli married to? Mossimo Giannulli is married to actress Lori Loughlin. They met in 1995. The couple eloped on Thanksgiving and got married in 1997 in Newport Beach, California. The couple has 2 daughters, Isabella Rose, and Olivia Jade, and a son, Gianni. Gianni is his son from his previous relationship. His daughter Olivia has a YouTube channel with 1 million subscribers and Instagram account with 1 million followers. What is Mossimo Giannulli's Net Worth? They sold their Aspen, Colorado home for $7.6 million. They put their Los Angeles mansion on the market for $35 million. He earned his fortune working as a designer in clothing company Mossimo. He founded it earlier in 1986. The company was acquired by Iconix Brand Group in 2006. His net worth is estimated at $80 million at present.